Semper Tek, Inc. has officially been operating for 10-years. This is a milestone that not all small businesses accomplish. Especially a construction business that opened its doors in July 2008…. The recession that hit the Nation, and particularly the construction industry, definitely made the first several years interesting for Scott Matheny, President, but he persisted and has grown a tremendous company that today employs 38 people. In its first ten years, Semper Tek has created a customer- and people- centered philosophy and culture. Scott Matheny continues to set the tone for all personnel he employs by working long and hard to do what is right and fair for his clients. The team he has created is truly like a family and they approach each project and client with a partnership mentality. His approach is what has created the firm’s success by earnning repeat business with clients like the Department of Veterans Affairs, U.S. Army Corps of Engineers, and Department of the Air Force. In order to celebrate the firm’s 10-Year Anniversary, Semper Tek is partnering with multiple firms, including EOP Architects and CARMAN on a design-build project with the National Association for Black Veterans (NABVETS) to build a Veterans Flag Memorial in Louisville, KY. The Freedom Flag Project is an initiative that will work through Public-Private Partnerships to install American Flags throughout communities and states across the nation, and build memorials to honor our nation’s veterans. The initiative was created by Shedrick Jones, Sr., the Region VI Commander of the NABVETS, as an opportunity to unify people and communities by providing beautiful spaces to reflect on a symbol that can bring us all together – Old Glory. The Kentucky Center for African American Heritage in Louisville has been selected to receive the first memorial because of the locations rich history, its mission, and its available front yard event space which will be greatly enhanced with this addition. The Charles Young Veterans Memorial will include a statue of a saluting soldier on one end of a 50’ elevated paver walkway with seat walls in front of a 40’ tall flag pole with a large American Flag and five branch flags surrounding it at the other end. The “Salute” sculpture is meant to represent all of the nation’s Veterans and represents the ultimate respect for the flag. Positioned behind the salute statue are five pedestals honoring the 5 branches of the US Armed Forces. The flag is elevated in a position of prominence on the site and is approached on a brick paver walkway with memorial bricks honoring the 50 states. Along the paved walkway there is a section of 13 striped bands of brick pavers that are flanked by seat walls that contain inspirational quotes and is intended as a place for quiet reflection. Each of the flags will remain lit so that they can continue to be raised at all times. On the backside of the flag platform will be grassy seating areas that will be stair-stepped back down to the natural grade of the lawn. The seats are formed with historic limestone curbs that we once located in neighborhoods through-out Louisville. This will create additional seating area for outdoor events and spaces to relax and reflect at the memorial. 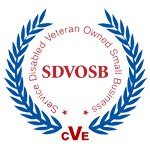 There will be opportunities for businesses and residents to purchase pavers and plaques to honor veterans and show their support. 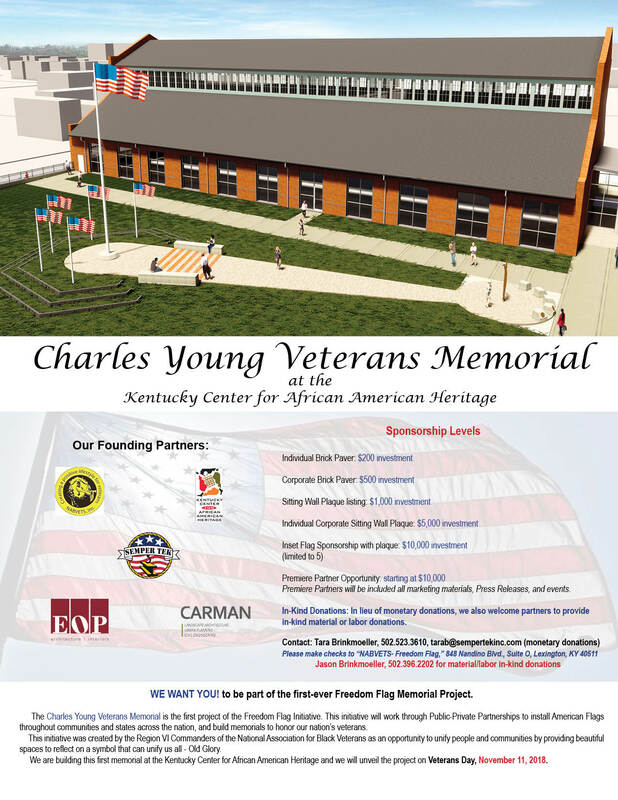 If you are interested in sponsorship opportunities associated with the Charles Young Veterans Memorial, click here or you may call the office at 859-252-8339. The Charles Young Veterans Flag Memorial will be constructed in time to be unveiled on Veterans Day, November 11 this year.